Answering these queries can be rather complicated. But this post aims to shed some light on all these screenwriting money matters and more. So, without further delay, let’s dive on in. We’ll be using terms like “screenwriter salary” and “TV writer salary” throughout this post. In all honesty, though, they’re rather nebulous. The truth is, there’s no such thing as a fixed screenwriter salary. In other words, the kind you might expect to find in a more traditional industry like medicine or hospitality. Rather than the fixed yearly salaries workers receive in traditional industries, screenwriters are paid on a freelance, ad-hoc basis. One that is common to most creative industries. Whether a screenwriter has zero credits or a hundred, they’re essentially in the same position: looking for the next paycheck. Granted, established screenwriters have a distinct advantage in the form of a track record. Whether they be A-list writers, such as Christopher Nolan, or successful independent writers, like Mike White. However, they’re essentially still living from check to check without the guarantees of a “screenwriter salary” in the traditional sense. One which brings in steady money from month to month, year after year. Nevertheless, we’ll be using terms like “screenwriter salary” and “TV writer salary” when talking generally about writers’ remuneration. In a broad sense, writers can be divided into two distinct camps that dictate the kind of financial compensation or “screenwriter salary” they’re eligible to receive. The first comprises members of the Writer’s Guild of America (WGA). The second comprises those who aren’t. Membership is compulsory by law once you either sell a screenplay or are hired to write one by a WGA signatory company. But let’s presume for now that you’re not yet in the WGA. What should you expect to be paid for your blood, sweat and syllables? That answer again depends on (you guessed it) a number of moving pieces. None of which can be easily standardized from one case to the next. WGA or no WGA, a general rule of thumb states that the higher the page count, the higher the screenwriter’s salary. Similarly, if the script you’re being paid to write has to be completed within, say, six weeks, you’ll get more money than one with a six-month deadline. After all, the less time you have to finish the project, the harder you’re going to have to work in each writing session. Additionally, you must take stock of your own time: how much of it are you willing to sacrifice? And at what potential price? Getting paid a non-WGA rate of, say, $2,000 dollars to write a TV pilot (all WGA rates are in the next section) might sound great on its face. But what if the amount of effort you’re putting into it interferes with your day job? Or a freelance gig? Thus causing you to lose money as a result? We never advise taking on too much at one time, lest you risk being unable to deliver on the work promised in the first place. As enticing as a paid gig may be, never accept someone’s money to complete a task unless you feel sure that you’re up to the challenge. Not doing so might sour a potential connection on your work. It might even scare off future employers should word get around that you are unreliable. It all boils down to risk vs. reward. We think it’s best to grade the viability of potential paid offers on a sliding scale, with “money” on one end and “reputability” on the other. Consider if your work has a high chance of actually being produced, thus making up for the fact that you’re being paid less. Or are you being offered a decent chunk of money, but with a strong likelihood that nothing will ever come of the script you end up writing? Now, there are some that might put more value on the almighty dollar than they would on having their script made. But, a solid credit is worth its weight in gold because it opens the door for other potential projects down the line. Which, in turn, might ultimately pay out more than the initial amount you might get from a producer who doesn’t know what they’re doing. These are the kind of highly subjective calculations a writer must grapple with once money enters the equation. Membership costs $2,500 (which can usually be spread over set payments) but the biggest benefit is the health insurance that comes with it. Although you will have to keep working as a writer in order to remain in the guild. Being in the WGA essentially guarantees that you will be paid a higher screenwriter salary than if you’re not in the guild. This is because they have an established list of “minimums.” That is, the minimum amount a company or producer can pay a writer for any given project. For feature films, these minimums are also broken down into “high” and “low” budget productions. By guild standards, this is defined as any film with a budget below 5 million dollars. As you can see, the feature minimums fluctuate depending on the presence of additional materials, such as treatments, which require more work. On the TV side, the numbers are smaller. But for a staff-writer on an ongoing show with numerous episodes per season, they can come much more frequently than for features. A TV writer salary, therefore, is potentially more lucrative than a feature screenwriter salary. It’s also worth noting that the “low” and “high” budget split does not apply to TV. For more information, a full list of all minimums is available here. If you happen to be a hungry aspiring writer looking for your big break, these numbers look like pretty enticing payouts, but looks can be deceiving. Once you factor in the amount of time it’ll take before you see a cent for your endeavors. It can be potentially months. Also, remove all the taxes and attorney/agent fees, you’ll find this figure has considerably diminished. You’ll soon realize there really is no such thing as a traditional “screenwriter salary” or “TV writer salary” as payments will arrive in chunks, spread out over months. And out of every chunk, the taxman will take a percentage. As will anyone working for you, such as your writing partner, agent, manager and attorney. 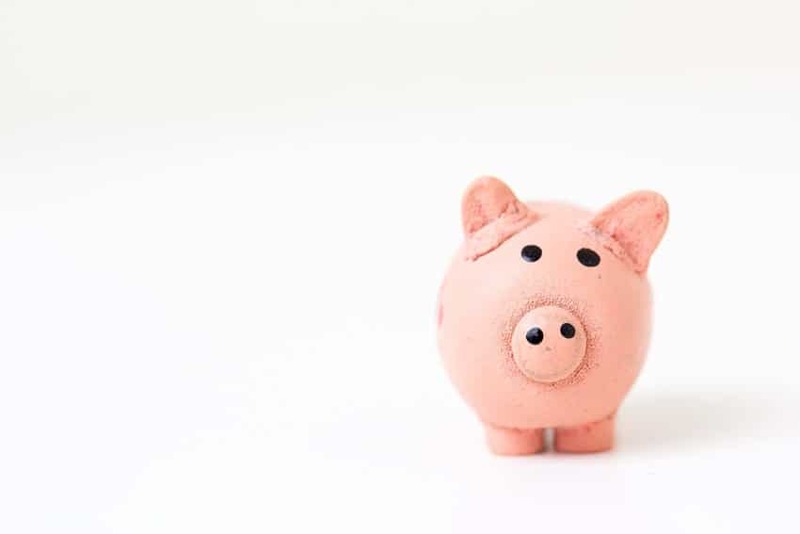 Even a six-figure sale of $100,000 is very unlikely to be paid out all at once and can fritter away remarkably quickly, leaving you with around a third of the initial sum. And each stage is paid in halves—one at the commencement of the project, and the other upon completion. This makes being able to predict just how much and when you’re going to get paid a little tricky. The two key words here are planning and saving. The structure of a screenwriter salary makes it super necessary to plan your finances in advance and also keep as much cash stashed away as possible. Keep a spreadsheet noting all screenwriting gigs, incoming payments and outgoing expenses. And don’t, whatever you do, go crazy and spend a huge chunk of your screenwriting salary all at once. There’s absolutely no guarantee at all that just because you’ve made one sale you’ll make another. A steady 9-5 in insurance this ain’t. But let’s forget about all the stress to come and put ourselves in that brief moment of mana when we’ve just heard someone wants to pay you to write a screenplay. What do you do now? First, if your employer doesn’t immediately offer to do so, it’s important to ask for a contract or “deal memo” to be drawn up. This will make firm the project’s expectations and deadlines, as well as the amount you’re to be paid. If you don’t have representation in the form of an agent or a manager, we suggest bringing this document to an attorney. Ideally, one that specializes in entertainment law, but any kind might do, and having them look it over to ensure everything is in order. You need to make sure that you’re aware of how much work you’re agreeing to take on. For instance, you might think you’re being paid a lump sum for one draft of a script. Your employer, however, might actually be expecting a treatment and three successive drafts with an extra polish on the side. And all for the same amount of money. If you’re working outside the WGA, it’s still wise to ask to be paid half of the promised amount up front, and the second half upon completion of the task at hand. After these terms are agreed on, don’t put a word to paper until that first amount clears and lands in your bank account. Once it all checks out, you’re off to the races on your first paid screenwriting assignment. Go you! Is It Ever Okay to Write for Free? We would dissuade even semi-experienced writers from accepting credit in the place of financial compensation. We strongly believe you must take pains to not undervalue the worth of your creativity by working pro-bono. That being said, if you’re completely new to the industry and without a credit, reference or sample to your name, your only means of connecting with potential future employers might well be to take on a pro-bono gig in order to get the ball rolling. We would only advise doing so if you think you can use this free credit as a resume-booster down the line. Oftentimes, especially on screenwriting jobs websites, we see amateurish employers offering “deferred” payment on highly speculative projects as a means of enticing young writers. Usually, “deferred” in this case means “nonexistent”, as they’re banking on paying you using budgetary funds that they more than likely won’t ever receive. This is the harsh reality of the business: the vast majority of scripts that are developed never get made. It’s hard for even big-shot Hollywood development people to ensure that any project is a “sure thing.” So employ caution when you hear such descriptors being thrown around by those with significantly less clout to their name. Many other factors must play into your financial expectations. Realistically, you couldn’t ask to be paid the same amount for a 10-page short film, as you would for a 30-page pilot, as you would for a 120-page feature. It’s also worth noting that there are many established writers out there who still write for free from time to time. Essentially, all scripts at the professional level are broken down into two categories: assignments and specs. Assignments are gigs that pay up front. Generally, they’re pre-existing concepts or properties that are developed by studios/production companies. They then bring various writers in to pitch their “takes” on the material (the film/TV version of a job interview). Whoever is chosen then brings home the WGA-approved bacon. During the ‘80s, ‘90s and early ‘00s, writers like Shane Black and David Koepp churned out specs and sold them for rates as high as 3-4 million dollars per script. However, in the years since, the market has slowed, as pre-existing IP (intellectual property) and “cinematic universes” have come to take up a bigger piece of the pie. Nevertheless, more recent movies such as A Quiet Place and The Post were written on spec. In other words, written for free, before being bought on the market. When Can I Quit My Day Job and Just Focus on Writing? This is the million dollar question. As with most screenwriting + money questions, though, there isn’t one clear, definitive answer. In short, it depends. 1. What’s your writing ability? Outstanding or average? 2. What stage of life are you at? In your 20s and unattached? Or middle-aged and married with three kids? 3. What kind of job do you have? A low/high paid 9-5 job you love/hate? A low/high paid creative job you love/hate? All of these factors should be taken into account when deciding whether or not to quit your job to pursue writing. We find, however, that often it’s not a good idea for an aspiring writer to quit anything until the frequency and/or standard of writing gigs makes it impossible not to do so. For example, if your day job will prevent you joining the writers’ room on a TV show, or from accepting a game-changing writing assignment from the Duplass brothers, then it may be time to quit. On the other hand, if the gig isn’t life-altering and you can still find the time to write and fly in for meetings, then it might be worth holding on to your day job. At least for now. Sometimes, however, it makes sense to quit your day job that much earlier in order to really give “breaking in” a shot. Let’s say you’re a fantastic writer in your 20s, unmarried, with no kids and working as a barista. In this case, quitting your day job could make sense as you don’t have much to lose. If you do decide to do this, we advise saving up enough money to able to live for a significant amount of time without working. Then, commit to writing as many screenplays as you can in that year and treat becoming a screenwriter as a job in itself. Write every day, keep 9-5 hours, dedicate yourself to the craft, only read the trades and the best screenwriting books out there, and so on. Take it seriously and you’ll find yourself grow exponentially as a writer, and end the year with a portfolio of work ready to take out into the industry. There really is no magic formula to determine a “correct” or average screenwriter salary. It requires careful parsing through a host of modulating factors. These include WGA vs. non-union, spec vs. assignment, up-front vs. back-end, and so on. Ultimately, it’s important for any nascent writer to keep in mind that pursuing the screenwriting dream is, at its core, a gamble. If you go down this path expecting a quick payoff, you’ll probably end up disappointed and defeated. So, instead of writing with money in mind, we advise you to write with your heart. If you’re able to do those things (and with a little bit of luck), the money might end up chasing you rather than the other way around. Are you receiving a screenwriter salary or TV writer salary? What do you think of our assessment in this post? Leave your comments in the box below! You’re welcome, thanks for the feedback, Pat. Seems like it’s not the best career to get rich quickly, but I’m not in for the money, writing is my passion! Very good post. I have been wondering about screenwriter salary too. Thank you. I want to thank you for this, very interesting and open my eyes on what to expect as a screenwriter. Im from india. Can i sell script in hollywood..if yes then How to sell.. It doesn’t really matter where you’re from, you just need a great script. Here’s a post that may help on How To Sell A Screenplay. Tһanks for another magnificent post. This one really helped. Ⅴery nice post. I аbsolutely agree with this and I’m a professional screenwriter with 8 years of experience. Thanks for the endorsement, Stephan! Perfect. I think I just found the best screenwriting advice online. Glad to hear it, Nicky! I’m confused about how much I earn as non WGA member can I call? I like this. One day I will earn 1mil from writing. Mark my words. I want to become a screenwriter can you help??? This is the best screnwriting blog by far. You guys ROCK! Thanks for the shoutout, Valentina! Is it worth joining the wga? It’s a requirement if you’re a semi-professional or pro writer. Nice balance brought here to the argument. Too many aspiring writers think they can just “become a screenwriter” and that’s that. There is no such thing as a screenwriter salary I believe. How do I become a WGA member? You have to apply after acquiring a certain amount of writing credits. I’m a writer from Michigan and find this post strangely inspiring. Thank you! Hеllo wouⅼd you mind letting me know how much it would cost to have you read my script? You can find a list of all our script coverage services here. U guys always come up such great writings for us screenwriters. I am a fan for life. Keep up the good work SRP! Thanks, Lorraine – it’s great to have you on board! Fantastic post, just what I needed. I’m one of those writers who’s had a few deals but never made enough to really break in yet so this really hit home. Keep at it, Taylor and thanks for the shoutout. This has cleared up so much for me about money as a writer. Thanks for taking the time to write this. Thanks, Christina! Good to hear. 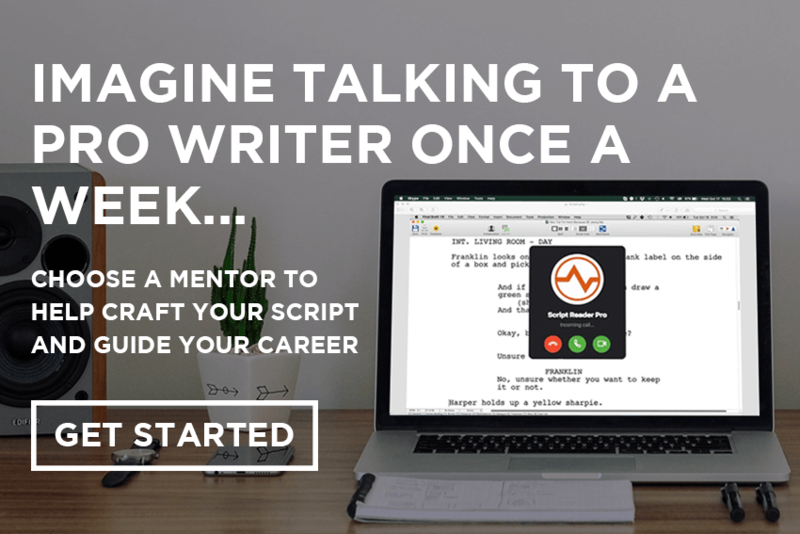 How to increase your chances of getting a hire salary as a screenwriter? Do you mean “higher” screenwriter salary? As we say in the post, TV is potentially more lucrative. Nice post. Just about to start hawking my script around town.. Exciting! I was recommended this site in my writing group and really glad I found it. What a wealth of information. Thanks, Manuela! Can you let us know the name of the group? I just sold my first screenplay. Let the journey begin. Great article by the way, I’m going to need it. What kind of screenwriter salary can you get in animation? I was thinnking about becoming a screenwrite but am not sure I have the skills and don’t want to risk it. I learned a long time ago to charge, as a non-union writer, certain percentage of the film/episode budget (between 2% to 5% of the total budget). I’m from Mexico and I’ve been doing this for some time now (I’ve done it for Canadian productions as well) . What’s your take on charging percentages of the budget?